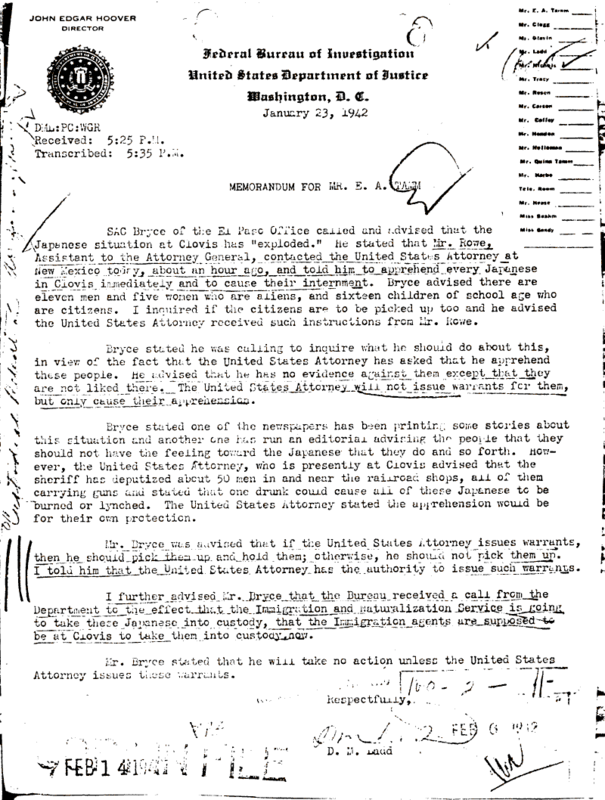 Document Notes: Memo reports on an explosive situation developing in Clovis, NM regarding orders to apprehend alien enemy Japanese. An example of how things had to be sorted out. Note: comment regarding "for their own protection."